According to FujiRumors, who is usually right about those things (and that I read daily religiously), Fujifilm is set to unveil their latest f2.8 constant aperture zoom, the XF 16-55mmF2.8 WR, in the next few hours. For once, I am very curious to see if we get anything interesting from this press conference, and especially better samples than we usually get. When I say better, I am not talking about the quality of the picture (from an artistic point of view they are taken by some of the best photographers In the world, and from a technical point of view all the recent releases by any manufacturers, including third party, have shown that the quality standards are very high), what I am referring to is the variety within the samples, in order to see different interpretations of what this lens can be used for in various hands. The reason why I am curious is not because I am interested in this lens. Actually, it is the opposite: i am not planning on buying this lens for myself. So I just want to let the door open, to see if Fujifilm can blow my mind and make me question my own judgement. It could be a matter of price point as well, but I would not expect this lens to come at a discount as it is part of the “premium” lineup. 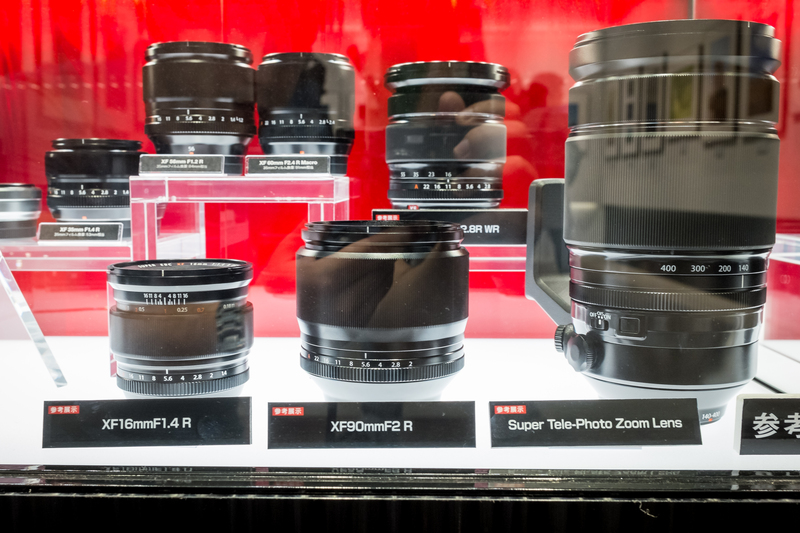 So why am I not too excited by the imminent announcement of this lens? One of the biggest reasons has to be the excellent XF 18-55mm f2.8-4, that I have used in many different situations and that never failed me. The f2.8 zoom will be slightly faster zoomed in at 55mm, but the “kit” zoom has OIS. But more importantly, if you are already invested in the Fuji X-System, you might have some of the fast primes on top of the “kit” lens, such as the 35mm f1.4. If in addition of this one you also have the 56mm f1.2, then the slight faster aperture at the end of the zoom range becomes less important. The XF 16-55mmF2.8 WR is also most likely to be much bulkier and heavier than the “kit” zoom, while I tend to use this type of zoom range when I want to travel light. Having said all of that, the XF 16-55mmF2.8 WR is weather-resistant, so if you need it, then there is no question about how important to you this lens will be.